A friend of mine had been trying to sell his house for 1.5 years (he had used 3 realtors), and he called Roger. Roger came in, did not lower the price, and through his marketing, had the house under contract in a week. My friend went on and on about how great Roger was, so I called him. I also interviewed 2 other realtors. The differences were very apparent. I immediately knew I’d be using Roger. On his initial visit to my home, he presented himself with great confidence on his ability to sell my house at a good price. He was very helpful in taking the time to go through room by room, and give me constructive advice on what cosmetic repairs should be done to make the house look new. In addition, he explained that when my house was shown, the realtors would be calling him directly to schedule (this gives him the opportunity to try and sell my house before they have walked through the door). Please be careful of any realtor that have other realtors set up direct appointments with the homeowners, and any realtor that does not personally phone a realtor after showing your home to get feedback. He had a professional photographer take photos of my home.The photos are the first impression someone gets, and he wants them to be perfect.My friends were shocked when they saw the photos.They looked like something out of a magazine. Roger’s communication is second to none. At any point (and I probably emailed with him about 400 times), he almost immediately answered his phone or emails. He never acted like I was taking up his time, and he was always very reassuring. When it came time to negotiations on my offer (and my house was under contract in 10 days) he came up with counter negotiations on certain terms I would have never thought of. He honestly thinks of everything, and you can bet he’ll fight for you.His business skills are very sharp. Even after my house sold, and I moved out of state, I considered using him, because I have never met anyone like him. I think that much of him. I ended up using a local realtor that knew the area, but even so, Roger still was helping me when I had questions on my out of state home purchase. In short, Roger goes WAY above and beyond, and he earned every dollar of his commission. No other realtor communicates like him, has the business negotiating skills, or confidence he possesses. I would highly recommend him for listing your home. Also, he has extreme attention to detail, so I would totally use him for buying a home as well-he has experience in new construction contracts/building as well. Feel free to use my email address as a reference, or my cell phone 770 328 8062. I would be happy to talk to anyone that is considering using Roger. Roger Webb efficiently sold our home/closed in less than three months. He provided us an extraordinary service that exceeded our expectations by always committing to the highest levels of professionalism, ethics and standards rarely found among realtors. We were very pleased with the respectful, practical manner and honesty in how he conducts his business. You will find with Roger a simplified home selling process that gives you the personal services needed to close deals on time. He prides himself in providing "Excellent Customer Service", and indeed so true. It is refreshing to work with someone so honest and trustworthy! We felt very fortunate to find him as our realtor. Great integrity, and really has the best interest of his clients at heart. He never missed a beat, and went above and beyond to help us in any way he could. He is great, skillful and blessed at what he does! The Webb Real Estate Team is by far, the epitome of excellence in the real estate industry. With their vast knowledge of the market and area, they made finding the perfect home for our family, a pleasurable and satisfactory undertaking. With superb communication, and punctual responses, we were able to have any requests or questions throughout the process addressed in a prompt and timely manner. I give my highest recommendation to anyone looking to buy or sell a home, to partner with the Webb Real Estate Team as your real estate professional of choice. We had a great experience with Roger & Laura and would definitely recommend them. They are very responsive to questions, sharing knowledge and experience with us along the way, and thorough in tracking each step of the process to completion. We appreciate how professional, warm & friendly they are, like friends we've known for years - instead of the uncomfortably formal feeling one might anticipate, that we've experienced with other agents in the industry over the years. When we need real estate professionals again, we will definitely be calling on them to assist us. The Webb Real Estate Team was hands down, the most professional team I have ever worked with on a real estate transaction. Their experience, coupled with an extraordinary sense of intuition on all steps of the sales and negotiation process gave me (the seller) a sense of calm assurance throughout. They provided rapid proactive responses consistently. Most outstanding was their attention to ethical business practices. We just completed our 2nd transaction with the Webb Real Estate Team. Roger Webb and Melissa Whitehouse are a team of true consummate professionals.They provided thorough preliminary consultation & market analysis months in advance of our listing and facilitated development of a budget conscious strategy to pre-listing repair decisions. They leveraged their tech savvy approach to real estate by marketing our property across a broad range of media including numerous listing sites & social media. The professional photography of our home presented our home in the best possible light. The Webb team also proved to be exceptionally well connected within the contractor community; their team of trusted contractors were able to deliver quick and cost effective solution to buyer's requests.The end result, high volume of prospective buyer traffic immediately upon listing, we had our house under contract within 1-wk and sold at the highest $/SF in our neighborhood. I wouldn't consider engaging anyone else in the greater Atlanta area to manage my future real estate needs. For anyone in the market for a real estate agent, we strongly recommend Roger Webb. Roger is a driven professional whose knowledge of the market is only matched by his responsiveness. We had the pleasure of using Roger for both the sell transaction of our previous house and the buy transaction of our new house. Roger excelled at both! On the sell side, Roger came in and knew exactly what we needed to touch up at our house to get top dollar. As he promised, Roger had our house under contact in less than 6 hours on the market. Roger was always accessible - by phone, text, or email - he always responded. I don't think we ever had to wait more than 10 minutes to hear back. On the buy side, Roger understood exactly what we were looking for and made sure not to waste our time on other properties. He was instrumental in the negotiation process. During the closing process, Roger developed a repoire with the selling agent and maintained communications to make sure everything went as smoothly as possible. In the past month, we've referred Roger to two different friends looking to sell their houses and will continue to do so. Melissa and Roger from the Webb Real Estate Team were phenomenal! They helped me through what turned out to be a long sale. Despite the many challenges their attitude, disposition and communication never changed. They were a joy to work with and I will be using their services exclusively when buying/selling in Georgia! Thanks again guys, you both ROCK! From listing through closing I found the Webb Real Estate Team to be consummate professionals. They were friendly, knowledgeable and always acted with a sense of urgency. Roger's experience and connections also made it easy to take care of needed repairs post inspection. I would highly recommend Roger and his team to anyone buying, selling or renting a home! We were referred to Roger Webb and his team by one of my very good friends and I’m so glad we were. We ended up being helped by one of his team members Melissa and it was by far one of the best experiences ever with a realtor company and realtor we’ve ever had. Melissa is so personable and we felt like we had known her forever. She made finding our home so easy and took away all the stress that normally goes along with it! I would recommend The Webb Real Estate Team over and over again!! I can’t thank them enough for what they did for us! Tony did a fantastic job! We decided to try a different realtor from when we bought our house in hopes for a better process and I am glad we did. Tony reassured us of any worries we had and was a great liaison for us in negotiations. We were trying to sell our home quick so we were impatient and he assured us to hold out. By listening to him we got a great deal because of it. I would recommend this agency and Tony specifically to anyone that's looking to buy/sell a home. Thank you Tony for all that you did for my family. If we didn't move cross country, I would've used you again! The Webb Real Estate Team has helped us three times now. They helped us with our first time buying experience, and made it easy for 2 young newlyweds to understand the process and make a smart buying decision, and then again a few years later when our family grew and we were ready for an upgrade. They were flexible with our schedules, worked on their day off, took our calls and texts at any time, helped us get the best deal on the house we decided to purchase and helped us get the absolute top dollar we could when selling our first house. The whole process was quick, painless, fun, easy, and memorable! We will use them again and recommend them to everyone! I wish we had found the Webb Real Estate Team from the beginning. They were extremely professional and wonderfully proactive and responsive from day one and remained that way throughout the process. Their use of social media and other means of marketing were extremely impressive and productive. Plus they kept us informed every step of the way. A true pleasure to work with! Roger went above and beyond what we could have hoped for. His expertise and mastery of negotiations got us our DREAM property for an amazing price. His love for what he does comes through in his work ethic. HIGHLY RECOMMEND! Melissa and her team were extremely helpful with the entire process. I had not been through this in 20+ years and had a very tight timeline to close on the new house. They made it as easy as possible from start to finish. I would highly recommend Melissa for any real estate needs! Tony, as our agent, was fantastic to work with. We hired Tony and the Webb Real Estate Team to assist in the sale of my parents property - home to our family for over 60 years. He was extremely knowledgeable of the property values in the area, how best to market the property to get the most out of the sale; but most of all, was cognizant of the emotions that go with selling the home place. He guided us through the process without pressure, allowing us to transition from "I don't want to sell, but I know I have to sell" to "Yes, we have the right buyer, for the right price and for the right reasons". There was a few snags along the way but he took charge of the process and guided me in making the right choices/decisions, always firm in getting what was best for me, as his client. He was not afraid to push to get things done, even when not exactly his role but was what needed to be done for us. I hope that I never have to sell another home, but if I do, he would be my only choice. Our experience with Roger Webb and the Webb team was OUTSTANDING! Roger Webb is a first class true professional! The minute we met Roger we knew he was the realtor for us. His knowledge, expert advise, personal attention, preparedness, communication skills are over the top! Thank you Roger!! Roger and his team have this real estate thing figured out! We worked with both Roger & Laura and they were a well-oiled machine. They know the area, they know the market, they know the process and they work on your behalf, not their own. A friendly, personable, knowledgeable team that is highly respected in the area and in the industry make them a great partner! My first contact with Melissa was through an inquiry I made about a house. I ended up making an offer on that house but the deal fell through. Melissa was wonderful to work with the entire time. After the deal fell through she continued to show me and my family homes until we found the right fit. I will be sure to recommend her to anyone that I hear is looking to sell or buy a house! When purchasing my home I chose Webb Real Estate Team because of their great reputation, and they did not disappoint. From the beginning of the process to the end, Roger was a pleasure to work with. When the home buying process is simplified by a real estate agent who goes out of their way to make you feel more than just a client , it makes the entire experience that much better. If you are looking for a quality and experienced team, do not hesitate to use The Webb Real Estate Team! I worked with both Roger and Melissa,they were both by far the best agents I have ever worked with quick responses to calls or emails, always available when I needed them and never pressured me to make a deal. I would not hesitate to recommend Roger or anyone on his team as they are true professionals and put your best interest 1st and their commission 2nd!!! I had the very best buying experience with The Webb Real Estate team! Both Roger Webb and Laura Baker were so helpful & friendly. My family and I are relocating to Canton from out of state and Laura made the entire process a joy. She was so attentive and accommodating every step of the way! Answered every question we had about the buying process (and about the area) with such helpful knowledge. She was always prompt responding to me, worked quickly to jump on the property we wanted and offered fantastic advice. They worked hard to find us the very best home for my family for the best price as well! We truly felt like they had our very best interest at heart. Seeing as though we live out of state, there were many things Laura had to take care of for us due to our absence. That was invaluable to us! She guided us smoothly through it all and we closed on the home of our dreams! I would 100% recommend The Webb Real Estate Team to anyone. They are truly people you can trust to do the best job possible. We couldn't have imagined a better experience!! Wow! Laura and Roger are amazing. After a tough divorce and a couple of rough years, I reached out to Roger and his team to help me on my next step in life. Roger introduced me to Laura and I can not describe what a great agent she is. She found me the greatest house, in the best neighborhood and did an awesome job getting me a great price. It didn't stop there, I wanted to do the USDA loan and right when I when to apply the government shut down occurred. They reassured me that everything would be ok and they would do everything they could to get my house for me. They delivered and I closed on my house Feb. 6 with everything I wanted and then some. I can't say enough how thankful I am for all the hard work and devotion they show me. Thank you Webb Real Estate. Melissa and her team were excellent in helping with the sale of my previous home! We were able to find a buyer quickly and get our full asking price. They handled any and all of the issues that came up and kept me in in the loop only when needed. I highly recommend the Webb real estate team if you are considering buying and selling a home. Have bought and sold 14 houses over many years. Laura Baker is the best realtor we have had. She knows the market, the values, the competition. Helped us in many ways from staging the home to negotiating the final selling price. Our calls were answered quickly or the call backs we received were rapid. What she outlined as to the service that she and her company would provide is exactly what we received. Without question we would use Laura and the Webb Team again! Melissa and Roger were fantastic handling the number of offers we received and the negotiations needed in order to move quickly to closing. Melissa always responded quickly to any questions or concerns we had throughout the entire home selling process! My husband and I could not have been more pleased with our experience working with Roger at Webb Real Estate Team on the sell of our home. Roger listed our home and in 8 days we were under contract! This was the second home we have sold with Roger and his team, so being repeat clients speaks for itself! His expertise and knowledge is unmatched and supurb negotiation skills allowed for a smooth and easy process. Selling a home can be stressful, but Roger always makes sure to take the time to answer all of our questions and concerns in a promptly manner. It was a real pleasure working with Roger knowing we are in such good hands! I highly recommend him and his team! Put them to work for you, I promise they will work tirelessly! Our house was under contact within the first 24 hrs of being listed but Roger never quit. He worked hard to negotiate the best deal for us, and kept working to ensure backup offers. We were relocated and unable to be close to address issues but Roger went above and beyond his duties as a realtor to make sure everything worked out as seamlessly as possible! Roger and his team did an excellent job of meeting and exceeding all of our expectations! The Webb Team was the best, especially Michael Carter. He was very accommodating to our schedule and was always thinking ahead with more listings to share. We can not express our appreciation enough! The time and work that Roger put in to sell not only my house but my buyers house as well is unmatched by any. No matter the hangup, no matter the problem Roger figured it out and made the deal happen. There is no way you can go wrong with the Webb Real Estate Team. Roger's and Melissa's highly positive attitude, communication, using technology, marketing, services, reliability, knowledge, and professionalism were leading to sell my home. They both were quickly responding to my questions anytime that I needed. They helped me to sell my home much sooner than I expected. I highly recommend the Webb Real Estate to my friends and family and I would like to work with them in the future. They are great and I am very happy with their service! I have worked with Roger Webb and his team three times over the last few years. We have bought with him twice and sold one home at a profit. Roger is phenomenal. He grew up around Atlanta and has extensive knowledge of the area that he services. He's a whiz with the numbers and has not once steered us wrong. He's professional, straight forward, honest, and is a true expert in real estate. I want to work for him! Lol! Both Laura and Michael who work with Roger are fantastic! I can't say enough good things about Webb Real Estate. When I sell my current home, he is the first person I'll call. You can't find a better agent than Roger! Melissa and Roger were great! They were kind and very professional. I could have called them anytime day or night to ask them any questions or concerns that I had(and they would answer all of my questions) If I had to do it all over again they would be on the top of my list. Thanks Melissa and Roger for helping me find a beautiful home!! Roger and his team are amazing! They have a sense of urgency and get the job done. The work ethic they have is phenomenal. If you listen to their advice(they are the experts) buying or selling is a smooth transition. It's as easy as just signing the paperwork. My husband and I have both bought and sold a house with them and were very impressed with them on both transactions. I would recommend them to anyone who needs to buy or sell. The Webb Team hustles harder! To those of you who see that I rated The Webb team five stars and believe it's just fluff; don't think that. I returned from overseas and needed a realtor ASAP, and the Webb team were there every step of the way to help me find and close on a house. It was a bit of a bumpy road road for them I'm sure because I came off the line indecisive. We eventually found a place I loved and ended up closing on it for a decent price! This is my Real Estate Team forever. Roger and his team are personable and work hard for you. I have used them twice now and both times were fun and easy for me. They take the stress out of the process by handling negotiations based on your terms. They also have great contacts if you need external services to make the sale or purchase of your home. Thank you Roger and Michael for everything! I had the pleasure of working with Roger Webb in purchasing our new home. The process from start to finish was truly amazing! He said what he could do and it was done within 30 days. This by far is one of the best experiences in my life with a major purchase. Roger went above and beyond, very attentive, knowledgeable and thorough thoughout the whole purchase process. Thanks Roger for an outstanding job and making us happy homeowners!! My experience with The Webb Real Estate Team was nothing but positive! Laura helped me tremendously from the start to the finish! She is a very experienced realtor, and I felt she was always there for me with any questions and concerns I had. I wouldn’t have wanted go through this journey with anyone other than Laura Baker! Roger and Laura from the Webb Real Estate Team did an amazing job helping us to both find a new home and to sell our existing home. For our new home - they were spot on with price to offer, post-inspection asks, and negotiating through closing. Easy, fast closing and we're at the house we want to be in for the next 15+ years. For the sale of our home - they were equally amazing. Honest, candid feedback on how to prep / stage our house before it went on the market, helped us price it right, and marketed it to all the right people. Bottom line - multiple offers on the first day on the market, for above asking price and now we're on our way to a smooth closing. We would recommended them to any seller or buyer in the area! It's always great working with Roger and his team. Roger response time and work ethics are impeccable. Working with Tony was my pleasure...his patience, hard work and dedication paid off in a big way because I'm very happy with my new home. Thanks guys! Wonderful experience working with Melissa and Roger. Melissa was very pro-active (enthusiatic and willing to go the extra mile) in our dealings. We would highly recommend her to anyone looking for a real estate agent/group! I cannot say enough of how happy I am that I chose The Webb Real Estate Team and Roger Webb to sell my home! His understanding of the situation and his knowledge and experience cannot be matched by any other agent in the Georgia. If you are looking for an agent to by or sell your house, look no further and give Roger a call today. You you will truly be thankful that you did. You cannot have a better partner! Roger and the rest of the team truly are amazing. Superior communication. Honest and trustworthy. Fantastic research. Creative ways to keep a deal on track. Always working for you not against you. I couldn’t have had a better experience from beginning to end. All of these things are wrapped up in a calmness when others are loosing it - they are the hero’s of the real estate world. They make dreams come true! Tony is tremendous to work with. Of all the realtors we've approached, Tony seems to be the only realtor in the metro Atlanta area that has a head on their shoulders. For a couple of transplants into the Atlanta area, the last thing we wanted was the slow, local, casual approach every other realtor seems to take. Tony was "Johnny-on-the-spot" at all times and helped us find the right home for the right price in the right area in just under a week. Cannot go wrong with this team!!! Webb team is incredible!! I found them by accident and could not have been happier with the entire team of professionals!!! Melissa was out agent of contact and Roger handle research and logistics. They were prompt, responsive, thoughtful, cordial, and at all times were looking our for my best interests!!!" Roger and Julie are absolutely amazing! They made our first time home buying experience completely stress free! They were there every step of the way and helped us get into the home of our dreams with the smoothest transition possible. One of the biggest reasons our offer was accepted over others was Roger's knowledge and organization. I would highly recommend this team to anyone, but especially to first time homebuyers who, like us, have no idea what they are doing! Thank you, we are forever grateful for everything you did! Whitni S / Jake M.
Roger, Laura and everyone we dealt with at Webb Real Estate was amazing! We just closed on our first home, and we couldn't be more excited- however it was a long, crazy road getting to the closing table! All in all we ended up having the house under contract for almost 4 months because of a number of little snags that seemed to turn into more snags, but Roger negotiated everything beautifully, and we ended up with a great deal on a home that we love! I know that if we had chosen different agents than Laura and Roger, we would not have been able to get our home. They were with us the entire journey and were amazing advocates for us. Thanks you guys for the amazing work you do! Laura was the best!! Professional, patient and great service from start to finish. She looked out for our best interest thru negations to the closing. Definitely recommend Laura!! I wouldn't recommend anyone else to use to find you your dream home. We have used Julie and Roger multiple times to buy and sell homes. They are very knowledgeable about today's market and are ready act quickly to get everything in order for your big signing day. We have had nothing short of amazing service from them . We have bought 2 houses and sold 2 house with their expertise. If you are ready to buy the house of your dreams call the Webb Real Estate Team. You will have your dream home in no time!! Roger Webb and his team provided an excellent service. Roger grew up in the Atlanta area and resides in Canton. He is very familiar with the communities, schools, and services that are very important when making a decision. We recently chose Roger and the team to sell our home after we were relocated to Montana for work. We were able to sell our home and have a seamless closing and move with the help of his team. My only regret is that we cannot utilize the Webb team in Montana. If we ever return to Georgia we will not hesitate to reach out to the Webb team. Roger also helped us buy our home in 2010 and made our needs his top priority! Pleasant experience from beginning to end. Roger and Laura were prompt in responding and extremely great to work with! They are knowledgeable and were very helpful in the listing and sale of our house. It sold quickly for more than the list price! Wow! Couldn't have asked for a better team to work with throughout our first home-buying process. Roger was so easy to work with! He always responded immediately, was 100% for us as his clients,and made the process easy. We would HIGHLY recommend him! Thank you for everything and we couldn't be happier! Laura Baker is a true professional that has her finger on the real estate market. She worked with us on the pricing, staging and the negotiation process to make it seamless. Our home sold within 4 days for near our asking price. We would recommend Laura and the Webb team to sell your home! Laura Baker answered all of our questions and was very patient with this process. She showed up on time for all appointments. She understood what our end goals were and was very honest and fair when giving us the asking pricing for our home to sell. We appreciate Laura! Tony Granados was a dream to work with. We had a very broad area, basically all the way around Lake Allatoona, to look in and Tony took us all the way around it. He had an immediate understanding of what we were looking for and listened to everything we had to say about each house we visited, and we didn't stop, until we found what was right. He also helped us negotiate additional requests in our initial offer giving us more room for further negotiations. Hands down, he's the best out there! Thanks so much Tony! I highly recommend Roger Webb. He went to work right away and sold my house within a week. He provided excellent service! He is very knowledgeable and has worked in the real estate industry for a long time. He was always timely to answer any questions I had. He made sure to follow up with me while he was on vacation. I recommend Roger and his team to anyone selling & buying a new home! Another chapter in our book is over and another is about to begin. We closed today on another amazing home with the help of the Webb Real Estate Team. Roger has helped me with multiple homes and I didn’t think his team could get any better until I was able to work with his team member Tony Granados. They are very attentive to their clients needs and produce. They weren’t just trying to sell ANY home, but the home that fit our needs. Roger and his team (esp Tony) are THE best. I highly recommend his group and wouldn’t go anywhere else. Great job! Roger and Michael were amazing. I wouldn't be a home owner right now without them! I wont go thru this process again unless they are involved! I can't say thank you enough! The Webb Real Estate Team was very professional, personal and in touch with me during the whole process from interviewing them, to listing the property, and thru closing. Laura was our person agent and she was very friendly and gave good recommendations to how to list the house for the best coverage in specialized market (log home, remote lot off the beaten path). Our house was empty while on the market and Laura was always there to help us when an outside contractor needed to provide a service and we were not able to attend to it our self. I felt she and Roger went above the norm and was always there to help outside just selling a property. Thank you Laura and Roger for all your help and support! We just completed our third sale with Roger and the Webb Real Estate Team and couldn’t be happier! From our very first meeting he impressed us with his professionalism and dedication, he’s always exceeded our expectations and made us feel comfortable from the day we listed until our closings. His attention to detail makes the process seamless and easy, a great communicator and always there for our needs. We now begin the search for our new home with Roger and the Webb Real Estate Team! We have bought, sold, and rented several homes through Webb Real Estate for the past 10 years. Our most recent experience was great as usual! We worked with Laura. She listed our home and it was under contract in less than 3 weeks! She even helped us find a rental since we couldn't find a house we wanted in time. On the purchasing side, she took time to show us all the homes we wanted to see until we found the perfect match. We will never use any other realtors! Thank you, Laura & Roger!! Due to our needs and wants it took us a while to find a house we could call home. Our agent was with us every step of the way. There were times where I was exhausted or frustrated of not finding something we truly liked. With her experience and knowledge our realtor was extremely patient and supportive. We found a house and she got us the deal we were hoping for. No doubt in my mind if anyone is looking for a good agent to guide you through this important investment I would recommend Laura Baker without any hesitation. Her and her team hands down the best! The Webb Real Estate Team researched, located and negotiated a great home for our family. Roger and Tony were very easy to work with and available whenever I had questions. They went above and beyond with personalized service that you would not encounter at any other agency. Roger and Tony's knowledge of the metro Atlanta market is spot on. Everything that happened during my buying experience happened just like Roger and Tony said it would. I cannot thank this team enough! I cannot say enough about Roger and The Webb Real Estate Team. He went above and beyond to help me through the entire process of buying a home from start to finish. Roger had been recommended to me by several of my friends, and I would definitely recommend him to ANYONE looking to buy a home. Buying a home can be very stressful. Roger was extremely knowledgeable, efficient, and helpful, which made my home buying experience very enjoyable. Roger is honest and upfront and will work to get you exactly what you are looking for. After just one phone conversation with Roger, and telling him what I was looking for, he said he had a perfect house for me that had not even been listed yet. After patiently finding and showing me several homes....I ended up buying the home he recommended to me in that first conversation and I couldn't be happier. I am now very happy to call Roger a great friend and neighbor! This was the 2nd house that I have bought and it was by far the easiest house shopping experience I’ve ever had! Roger, Melissa and the rest of the team were there with us EVERY step of the way. They learned what we liked and didn’t like, were always available and never steered us wrong!! I would recommend them to everyone I know! Roger and Laura make a great team. They answered all my questions and were quick to respond to any concerns. Roger was only a phone call away and always available. Roger knows the local market inside and out and is able to get the seller top dollar for their home. Roger was always positive and optimistic about the selling process, which made the experience much more tolerable! Tony was wonderful! He knows the Atlanta area so well and is extremely knowledgeable on home maintenance issues. He was not afraid to get in attic and had a keen eye for potential issues. Very responsive and a great negotiator! This group was AMAZING! Tony was knowledgeable, patient, and all around excellent with helping us find our new home. I have purchased a house in the past and my experience this time was completely different. We sold our house while buying a new one which is no easy task. Tony was able to pull it off for us when we questioned if it was possible. Highly recommend this group! Tony Granados was excellent! Very Knowlageable and informative. Kept us in the loop and guided us to make the best decision possible! Sold our house in 12 hours! Would recommend Tony and Webb Real Estate Team to everyone! We loved working with Laura. The Webb Real Estate Team is a great group of people who are knowledgeable and helpful. The entire process of selling and buying our home was such a success because of Laura and the rest of the team. The Webb Real Estate Team did a great job for our family. Roger said he would get us the highest sales price in our neighborhood... and he did. We had a contract for the Full asking price in under 48 hours from the time it hit the MLS. He told me the plan, we executed, he sold... its that easy! The Webb Real Estate Team was great with us! They gave us options and were always attentive, informative and friendly. They took great care in handling every step of the process, helping us make choices and really caring for our needs. We are very happy and grateful for all their help. I would recommend them to anyone! Our home sold for top dollar and had a contract on it after the very first person toured it! When I first spoke with Roger, I knew he was an agent who knew his stuff and had integrity. He recommended that we update several components in our home and predicted the time frame in which it would sell if we followed his advice. He was right. I have bought and/or sold 3 different properties and Roger was head and shoulders above the other agents I worked with. I hope to stay in this home for a long time, but if/when I find myself in need of a real estate agent, you can be assured that I will be calling on Roger Webb again!! Laura and Roger and the Webb Real Estate team have been great to work with. They are by far the best! Their knowledge and professionalism made the process of finding a home an enjoyable experience. From the day we started looking for a home they have worked hard to exceed our expectations and now we are in our dream home! Roger and his team were fantastic! From start to finish, Roger’s opinions, advice and negotiating skills were flawless. He kept us informed every step of the way. Roger was recommended by a friend. We will certainly recommend his as well. We found Laura Baker to be well versed as a professional real estate agent. Laura was very knowledgeable and explained in detail, all of the aspects of listing and marketing our home. Laura maintained excellent communications, during the whole process. I would highly recommend Laura Baker and list with her, if we decided to sell a home in the future. We have total confidence in Laura, as we are using her to represent us in the purchase of our new home. The Webb Real Estate Team is outstanding!!! They are true professionals in every way. The Team is honest, knowledgeable, hardworking, and responsive. The service we received from them throughout the selling process was incredible! We recommend Roger Webb and his team without hesitation. Laura was WONDERFUL and was always available to meet with us when asked. She made our first home-buying process so easy! We definitely recommend The Webb Real Estate Team to anyone buying or selling a home. A big Thank You to our awesome realtor, Laura Baker!!!! We had 5 showings on the first day on the market, we were under contract in 3 days and now are super happy to be officially DONE with that property!! Thank you, Laura, for your hard work and helping us get the house SOLD! My wife and I hired Roger after two other realtors failed to show much expertise in the local market or interest in our personal needs. In every respect, Roger was invaluable, knowledgable and his response time was second to none. He'll go the extra mile, and did so throughout the entire process. We would both hire Roger again if ever we sell our home, and he'd be the only candidate we'd even consider. His expertise and client care are simply second to none. I don't think we could have done any better, and would have floundered in many areas without his guidance and advice. We were fortunate to find a person of his caliber, qualifications and personal care. His followup on every issue that arose was immediate and professional. Roger and his team have been a gift from heaven! They are very professional and take care of any issue you have. Roger was able to get my house under contract within one week. I will definitely use them for finding my next dream home! Laura Baker and the Webb Real Estate Team did an amazing job in helping us sell our home. The pictures their team took of the interior of our home were stunning and are probably part of what sold our home to out of state buyers. They also went above and beyond in making sure we got a great price on our home. We would highly recommend them to anyone who asked! We have used The Webb Real Estate Team to purchase three homes and sell two. They are amazing! Laura is a wonderful agent. She takes the time to make sure that our listings look awesome, with the help of Julie Webb who takes magazine worthy pictures of your home! Laura will go the extra mile every time for every client, always ready to think outside the box to get the deal done. When we couldn't find a home that we loved after selling ours, she went out and found us several that weren't even listed. Roger is the driving force behind the whole team. A true real estate expert! We have always been treated like we were their #1 priority. You cannot go wrong with The Webb Real Estate Team!! Roger and his team did an excellent job as always! He was right on the spot with the answers and had a contract on our house within 10 days of listing it! My wife and I highly recommend Roger and his team! We recently sold our house and purchased another through the Webb Real Estate Team. Laura Baker and Roger Webb provided a great experience for us. We were in no hurry to sell our home and they worked hard to sell our home at a price that made it worth selling! From beautiful pictures of our home to a great listing they were very professional and wonderful to work with. When the deal came through to sell our home, they walked us through it and provided knowledgeable service.When buying our new home, Laura was very patient with us and helped us work through the time consuming decision on buying a home. By using ListingBook we were able to save a lot of time looking by focusing and eliminating houses available. We now have a beautiful new home and are very pleased! Thank you Laura and Roger for your help and care in the fun and stressful time of selling and buying our homes! This is our second time around using The Webb Real Estate Team. We wouldn't use anyone else. Roger is fast, efficient, and extremely knowledgeable in the real estate industry. He was able to get our house under contract in five days for full asking price. Always impressed with his communication skills. He never keeps you waiting and he really looks out for his clients. I highly recommend using his team, you won't be disappointed! The Webb Real Estate Team were the most professional and efficient group to work with in the purchase of my new home. Michael Carter and Roger Webb were diligent in keeping my best interests in the forefront throughout the home buying process. I never felt pressured to buy or make a decision. Michael was patient with my questions and offered helpful advice. Through the whole process Michael added comfort like a father than a realtor. Roger and Michael supported me through a lending roller coaster which would have been drawn out much longer without their guidance. Take them up on their immediate offer to use their lenders. They are honest and upstanding guys. I have recommended them and will continue to recommend them. No other realtors like them. Thank you to The Webb Real Estate Team for helping me find my home! Roger Webb and the Webb Real Estate team run on one word: Family. Through buying two homes and selling one, Roger has been there treating my husband I as family. The Webb Real Estate team was always a phone call away working hard to sell our home fast and put us in a new, beautiful home we are proud to live in and that works perfect for our lifestyle and budget. You can count on Roger and his professional team to make the home buying/ selling process quick, fun, and easy to understand. Roger will make sure you have access to all the resources you need from movers to painters, to ensure your transition is one that’s smooth for everyone. You can’t go wrong with family and you can’t go wrong with Webb Real Estate. Excellent team. They were spot on with what price to list my house. They told me exactly what to do as well to get my house show ready. At first I didn't want to price where they recommended and didn't do the things they suggested for staging my home. I sat on the market for over 6 months. Then I finally priced the home where they told me too. I also did everything they advised in regards to staging. I sold my house in less than 30 days for the exact price they advised from the beginning. They are experts and most importantly are honest and genuinely care about thier clients. I felt like family during the entire process. Also the communication was incredible from start to close. I highly recommend Roger and his team! I had my house listed with another agent for 7 months with no luck. I switched to The Webb Real Estate Team and Roger sold my house in 6 hours! Best realtor in town. Our Realtor, Laura Baker was great and did an excellent job negotiating with the Sellers agent to get us more in closing costs credits along with a wonderful refrigerator to be included in the deal! Great team and helped us with anything and everything possible. We have had several hurdles to jump from the bank not allowing us to sell to having several offers fall through. This team has been so positive and helped us through everything. Absolutely the easiest house buying experience ever. From start to finish quick and thorough answers to questions and concerns. Would definitely recommend without reservation. Roger Webb is not just a real estate agent - but a real estate machine! He is the best I've ever seen by far. Roger helped me to purchase a home while training the seller's real estate agent on the business. His extreme knowledge and endless capabilities allowed the sale to soar through complex challenges. Roger Webb and his team blew away our expectations. Fortunately, in search of an agent to sell our previous house and buy our new home, a friend referred Roger our way. From the moment he walked into our living room, Roger’s communication with us was transparent, authentic and reliable. Moreover, every time we reached out to Roger or a member of his team throughout the process, the response time was immediate. Our confidence in Roger quickly grew as we recognized his awareness in the field to be exemplary and conviction of work ethic and style constructive to our needs and profitable to have on our side of the table. He found exactly what we were looking for while sensibly abstaining from houses beyond our means. Not to be overlooked, he’s a straight shooter. Roger says what he will do and does what he says. Above that, he’s a better person than an agent. I was in a unique position of having to find a house in a 60 day window. Additionally, I needed the house to be in a specific price range and in a highly sought after school district. A house went on the market on a Monday, and when I showed up to the house there were three other potential buyers parked out front. I walked through the house shaking my head in disappointment; I knew this was the perfect house for me and my family of six, and a bid had already been made on it. I left with my head hanging as I assumed the house was already being bid on and thus would be sold. Laura, a member of Roger's team who showed me the house, immediately called Roger. In less than two minutes of leaving the house, he called me and convinced me that we could get the house if we made a better bid. We did, and I was stunned to find the seller accepted the bid.Three weeks to the day after seeing the house and making a bid, we closed on the house. I can't understate the professionalism of Roger and his team. I had lots of concern about the buying process on a variety of levels. His knowledge of homes, the market, financing and all other components of the process were reassuring at a time of great change for me and my family. I was able to get ahold of him at any time, day or night. At one point I was exchanging emails with him at 1 am on a Sunday night. Everything Roger promised, he delivered on. Roger is now someone I call a friend as well, and I would not consider using anyone else in the buying or selling of one of my homes. Roger and Laura are very hard working and knowledgeable and found us the perfect home. They provided excellent customer service and were committed to making sure we were happy! "We hired Roger as our real estate agent based on a friend's referral. Roger was able to help us find a house to purchase, in the neighborhood we had always wanted to move to. He was patient and very flexible regarding house-showing times. He helped us with the negotiating, home inspection, etc. Concurrently, he was our selling agent on our home in Woodstock. After only a few weeks, he was able to get the house under a lease-purchase contract. He took care of the extensive contract, which was very protective of me as a home owner. Two years later, the buyer moved out and I was faced with selling the house again. Roger to the rescue! I immediately had companies to paint and clean the house on his referral. The home went under contract in LESS THAN 24 HOURS! Closing took place less than one month after that. In conclusion, we have hired Roger for three separate house needs and I wouldn't hesitate to use his services again." I have been involved in purchasing quite a few number of properties over the years and Roger is on top of the list of realtors that I have worked with. Roger was on top of the process at all times. He kept us informed as to what was happening the whole time. When I purchase or sell any property in GA. I will ONLY use Roger. Roger Webb and his team were amazing to work with. They are professional, hard working and very effective. Roger had our high end home under contract within 10 days, with multiple offers and we sold over asking price. Roger was amazing! His follow up and follow through was top notch and his communication and passion was there every day. If you are selling a high end home, Roger Webb and his team are the best I have ever encountered. Thank you Roger! Roger was the most responsive and enaged agent I have ever used. He kept me fully informed of every showing and all the feedback from other agents. His advice was helpful and prompt. He was extremely knowledgeable of sales activtity in the area. I would certainly recommend his and his team to anyone planning to buy or sell a home. We had a great experience with The Webb Real Estate Team. Tony Granados walked us though ever step of the process from preparing/staging our house to saving us over a thousand dollars at the closing table (the other agent was trying to leave out additional closing cost Tony had negotiated). Tony had our house under contract in less than forty eight hours for five thousand over asking with no closing cost. Our house appraised for the same amount as the final sale price! He was also a excellent negotiator on our buy. We got into our new home over 10k under the appraised value. Tony was never more than a phone call away during the entire process. I highly recommend his services! Roger Webb once again went above and beyond for us. This is the second time he represented us as a seller and buyer and he did not disappoint. We highly recommend him and his team to anyone looking to list or buy. Working with Tony of the The Webb Real Estate Team on the purchase of our first home has been a great experience. Tony was very professional and responsive to our needs and did a great job of working with us through the process and getting us into our dream house in our budget. I would highly recommend working with Tony and The Webb Real Estate Team to anyone looking to buy or sell a home and I look forward to working with them again in the future. Roger is an extremely knowledgeable and patient agent and helped me navigate the crazy Atlanta real estate market with my best interests in mind. He was like my personal advisor and went out of his way to research homes that would fit my criteria and budget. Roger was always extremely responsive, thorough, and prepared for whatever I through his way. Roger kept me positive during my search. Working with Roger was amazing, he gets things done in a quick and efficient way. He was very personable and easy to work with. You can tell he has a lot of experience in this field because he handled my situation with ease. I would totally recommend The Webb Real Estate Team to everyone I know looking to buy or sell a home. Very responsive to client needs, and changing client needs. Listened to our specific search criteria and did not waste time. Walked us through the closing process with ease. I would recommend The Webb Real Estate Team to anyone with confidence. We received timely and constant communication from Tony and Elizabeth (the team’s short sale underwriter) that was so important in allowing us to feel like we were being taken care of in a positive and professional manner. Whenever we had a question, they got back to us right away. Just as importantly, Roger and his Team told us on day one that they would find a buyer for us even though we had a rather challenging situation and they kept their promise! Laura and Roger assisted me in selling and purchasing a new home this summer. They both were very professional, knowledgeable and extremely helpful during the process. Whenever I had a question whether it was early morning or 10:00 pm, they were very quick to respond. I would definitely recommend this elite team to anyone interested in selling or buying a home in the future. The Webb Real Estate sold my home in 11 days for above asking price. Thank you for your expertise and knowledge of the real estate industry, and the suggestions you gave for showing my home and getting it sold quickly. Roger is one of the best in the business. He is professional, detail oriented and always quick to respond to any questions! Roger is the only agent I would use! Roger helped me sell my house. I couldn't have asked for a better realtor. He was patient in describing and explaining the process of selling a home. He was always available and answered and returned my calls in at timely manner. He also helped me in purchasing the condo that I currently reside in. I highly recommend him! We called Roger Webb from Alabama to help us find a home in Georgia. We viewed 23 properties in a matter of hours with Michael Carter (phenomenal), and one month later, we closed on our new home. Everything was handled remotely until the closing. Roger is very effective and efficient in communicating each step of the process, and he uses a team of superb professionals to complete each stage in the home buying process. We are first time homebuyers, and Roger educated us thoroughly along the way. He is an excellent negotiator and worked tirelessly to get us the best possible deal. This level of professionalism and enthusiasm sets a very high standard, and we will work with Roger and his team again in the future. It was a pleasure from the first introductory phone call to the final congratulatory phone call. Simply outstanding. Roger did a great job with selling our home and assisting with the purchase of or new home. He had a few issues that he had to negotiate and did so professionally with equitable results. Should the need arise, we will use him again in the future. Having just purchased a home through this organization, I can tell you they are extremely professional at every step of the process. We had a difficult time with finding the right home, in the right location for the right price but the team was behind us all the way. I would highly recommend their services to anyone in need of buying or selling real estate. My wife and I have known Roger and Julie for many years, personally and professionally. 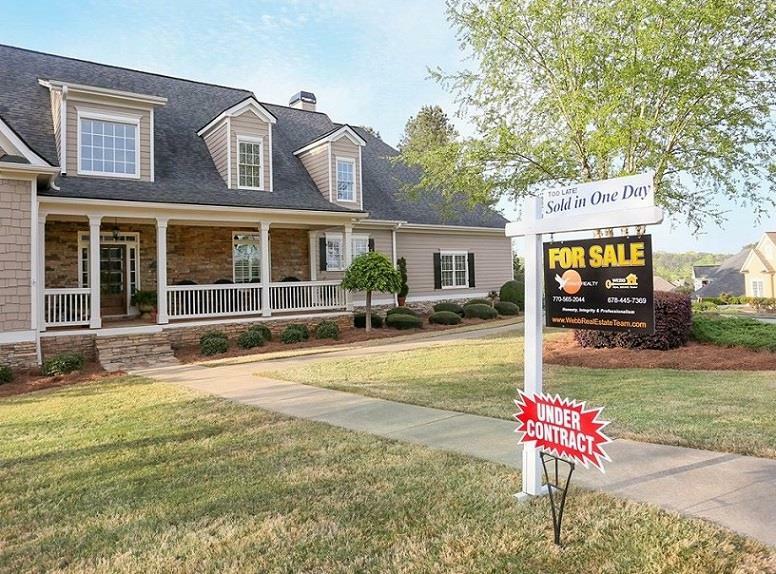 When the time came for us to sell our home in Gwinnett and make the move to Cherokee, there was no one else we would even consider calling to help us find a new home. The Webb team exemplify the concept of personalized customer service. Our needs revolved around several things. First, we wanted to make sure this move was going to be good for our kids, since they would be the ones making the greater sacrifice by changing schools. The high school in the area we are in now is one of the top ranked schools in the state. Second, was our budget. Roger and Julie were sensitive to this and worked to find us a home that would fit our budget and leave us room to breathe at the end of the month. And third, we were under a very challenging time constraint to get all of this done in the span of about 6 weeks. Not only did they help find and facilitate the purchase of our new home, but they also helped us facilitate the sale of our existing home. Julie, with her amazing photography skills, came to our house and took several professional grade photos of our home, and had them posted online within just a few hours. Roger was very quick to respond to all our questions via phone, text or email. All of this was made possible within our 6 week time frame. This is what is means to truly serve and care about your customer! If you are considering buying or selling anywhere in the metro area, do yourself a huge favor and give Roger and Julie a call. They will 100% earn your business. Thank you Roger and Julie for everything you did to make this an awesome experience for our entire family. We had an excellent experience with Roger Webb and his team! They worked so hard to get our house sold and made the whole process very easy for us. I would highly recommend The Webb Real Estate Team for your all your Real Estate needs. Professional, Reliable and overall exemplary customer service and experience. Thank you Roger and Elizabeth! I had a wonderful experience with this team buying my first home! They made it such an easy process. I was expecting it to be horrible and long since that is what I've been told by everyone I know that has bought a home but I had 0 issues. I will for sure use them again if I ever sell my beautiful home and look to buy another! Simply put, Roger is top notched. If you need an attentive and responsive professional to partner with to help achieve your real estate goals, then look no further than Roger and his team. Can't recommend more. Great team, fantastic response any day-any time. We loved working with The Webb Real Estate Team-dedicated and professional. I don't know if these folks even sleep! - Brian R.
Roger Webb did a great job in selling the property at listing price. He was able to resolve every problem that arose in a calm and professional manner. I was able to relax knowing Roger was in charge, and I would definitely use him again. The Webb Real Estate Team has a "formula" on how to sell your house quickly and for the most return. They are a well oiled machine! Every step of the way they had MY best interest in mind. I never felt like a number or a paycheck to them. In finding my home to buy, Tony Granados exhausted every avenue to find us the PERFECT home, and negotiated it so that we got an awesome deal. He was always there to answer my questions whether it was late nights or on the weekends. Buying & selling a home is a very stressful process, but the only part I didn't stress about was how it was handled by Tony and the Webb Real Estate Team! We moved to Atlanta in 2014 and one of my close friend strongly recommended using Roger Webb's services for buying our home here. I had to jump through some hoops to sign up with Roger as he was not on my relocation company's 'preferred realtor' list but all the effort was totally worth it. Roger is one of the most professional realtors I have worked with. The thing I loved most about him was his relentless pursuit of his clients interest, he is a fighter who will fight to get you the best deal! Those days most of the houses were selling in couple of days with multiple offers but thanks to Roger’s meticulous strategy, not only we got the house that we loved but most remarkably, he was able to extract several discounts for us saving us couple of thousand dollars. Roger is a good friend of mine now and I still rely upon his expert advice on picking reliable handymen, plumbers, electricians etc. I would use Roger for all my future real estate needs in Atlanta and also recommend him to all my friends. We were so fortunate to have found Tony Granados when we moved to Cartersville, GA. He helped us find the right house, in the right neighborhood, for the right price. He was our contact person as we finished construction on our new home all the way from Chicago. He went above and beyond, taking pictures of building materials, making frequent visits to our house, and being our "eyes" during construction. Tony gave us solid advice as we went through the home buying process and always had our best interests in mind. We are so thankful to Tony for helping us buy the house of our dreams. I could not be more satisfied. Roger Webb and Michael Carter provided the follow-up and encouragement I needed to keep things moving. The Webb Real Estate Team is top-notch. You'll be glad you chose them to help you find a property and provide excellent resources for financing your home. We had a great experience working with Laura. She was very professional and very knowledgeable. Our favorite thing about working with Laura was that she always got back with us in a timely manner. We were hoping to find and move into our new home quickly and she was able to help us accomplish that in a little over a month. She helped us through the whole process, making it smooth and effortless. The beginning of our real estate adventure was dismal to say the least. After having spoken to Roger and felt he was top notch, we reluctantly decided to go with a different agent because he had just sold our neighbor's house. Boy was that ever the wrong decision! Thinking this agent would bring our neighbor's back up offers and interested parties, we had high hopes. 3 weeks into that experience, with horrific marketing of our home, very little regard as to what we desired our listing to look like and horrible communication, we had little to no interest in our home. After deciding to let that agent go, I called Roger and gave him the details of our experience. He gladly took us on and boy did he and his team FAR exceed our expectations!! The amazing new listing was up within hours and Roger had our home under contract in 14 days. The professionalism and hands on approach that is what his team is based on, made the entire process a breeze! Roger consistently went above and beyond the call of duty. Every call, email and text was answered within minutes! And that's not to mention the buying experience with he and his team! We had a peculiar situation that was causing lots of road blocks. Roger made everything happen so smoothly! All while staying on top of everything! If you are looking for someone to really listen and care about how you want the selling and buying process to go...THIS is your guy, and your team! You will not be disappointed. I needed a realtor to guide me on how to sell my home. Tony of The Webb Real Estate Team came to my home when a friend of mine referred me to them. It only took ten minutes for me to decide it's going to be him. I've never sold a house before so I had no idea what it entailed. From that very 1st day Tony took the time to explain step by step the process. You have no idea the patience he had to have with me. I mean I was clueless. He showed me everything I needed to clean and repair to make my home sell quickly. I really needed to sell it quickly because I was broke and needed my equity right away. Well, Tony began to work his magic. We put it on the market and the very 1st person to see it put in an offer. Wow. I had Tony go between my brother (attorney) & myself to decide on price. I wanted $5000 more yet Tony said the selling of homes in my subdivision were selling for much lower. I listened and agreed with what he wanted. I received my asking price but said no I'm not paying any of their closing costs. He then explained it’s very common for some Sellers to contribute to at least some portion of the buyers closing costs. Ok I'll do it but only because he was so smart and correct at everything he had been telling me to do. Listen I could go on and on about this man and The Webb Real Estate Team. They were truly amazing. The buyer got cold feet and canceled ten days later. So, here we go again. Back on the market. I was not happy. Tony said Sue don't worry it's going to work out just fine. Yes, he saw me cry many times. I didn't want to sell my home but I had too. Ok first showing was at 10am. By that afternoon she put in offer as well as the other man that saw it that same day. We went back and forth on price. Tony helped me but let me decide then he gave advice when I said Tony what should I do. I took his advice and we sold to the lady that saw first and just had to have it. I new I had made the best decision. At closing he was there explaining everything but never once looked at me like really you don't understand this?? Amazing is what he was during this entire process. Truly amazing! Please use The Webb Real Estate Team to get the best and friendliest experience. I was so scared abouth this process but I found a friend working with this team. 5!!!!!!!!!!!!!!!!!!! Y'all. Great job!!!!!!!!!!!!!! I contacted the Webb Real Estate Team on a recommendation from a friend, and I wasn't disappointed! Roger called me back immediately and when I told him this was my first time buying a house he went over everything with me, and basically held my hand through the entire process. Laura was the Real Estate agent who helped show me homes, and she was great too. My girlfriend and I had widely differing wants and needs, and Laura was extremely patient with us as we looked at house after house. When we finally found something we both liked, Laura and Roger provided superb guidance from the negotiation stage through closing. It was a stressful experience but Roger and Laura did everything to reduce that stress as much as possible, and even provided encouragement when we were feeling like giving up. In the end, we found a house we love and couldn't have done it without them! We would like to highly recommend Roger Webb of Webb Real Estate SVS as an outstanding real estate agent. After having our home on the market for over 2 years without any success we decided to change realtors and we were giving Roger’s name. He was extremely proficient at his task,showed up when he said he would and had excellent commutative skills as well as the latest technological services to offer, which saved us a great deal of time from having to run here and there. Roger sold our home in less than 90 days with a successful closing and without a single mishap. We would highly recommend Roger and would gladly use his services again. Roger blew away our expectations. Knowing buying a home would be incredibly stressful filled with uncertainty, Roger assuaged our concerns from the very beginning. He helped us sell our old house as well as buy the new one. His response time was immediate with every question we asked with the information provided incredibly helpful with assisting us with our determination. We could not have felt more comfortable during the process and looking back, everything Roger provided for us was done with integrity and accuracy. We've even reached out months after the close to ask a few questions and Roger was right there to help us again. 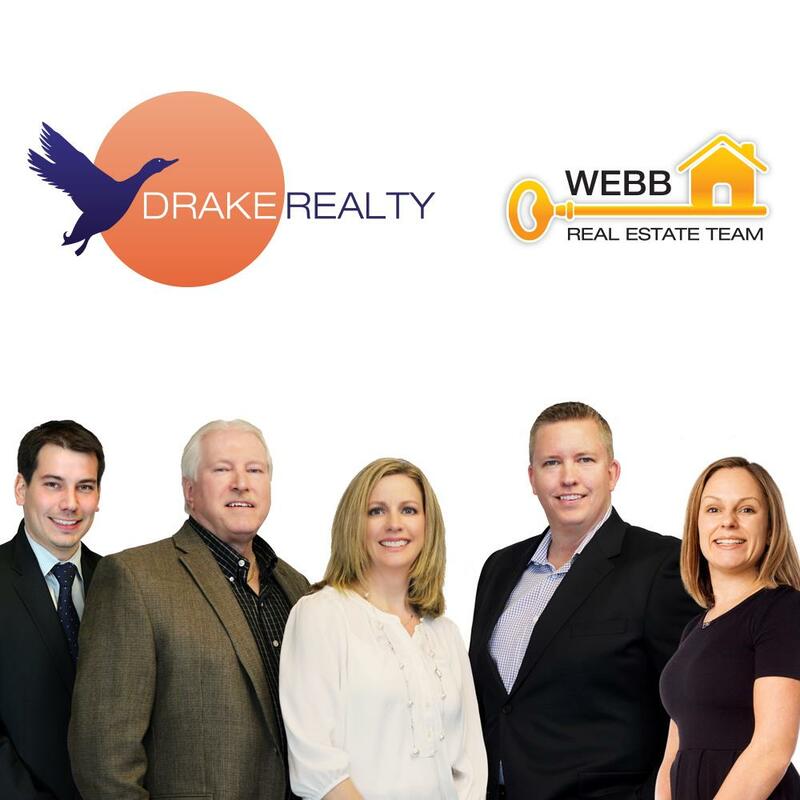 If you're searching for an a real estate team, I can't imagine any other team more qualified, responsive, professional, and genuine than Webb Real Estate. My daughter had used Webb Real Estate Team. When I was ready to buy I used them as well. I was very pleased at what an outstanding job that was done for me. I felt that I was their only customer. I was always able to reach someone on the phone or by text. Roger was even on vacation and still was working for me. It was a very seamless transition, if I had a problem Roger got on it and resolved it. I was made to feel important and to me at my age that was extremely important. As a first time home buyer, I was extremely nervous with the whole process and was about to give up. However, I was told to contact Roger Webb & The Webb Real Estate Team and they delivered! The Webb Real Estate Team provided excellent service from start to finish. They were able to find me a home with everything I needed and more! Any questions I had were answered immediately. Roger was very knowledgeable with the homebuying process and I always knew what I should expect. I would highly recommend The Webb Real Estate Team to any one whose purchasing a home! Roger and Laura are an amazing team! Tony was great to work with during the entire process. He spent all the time needed to research, sell and look for us homes. He was also easily accessible when we needed his help to answer any questions. We would definitely recommend him and the team to anyone. Roger and Team are true professionals. They are extremely proactive, timely and tireless in their efforts. They understand every single aspect of the buying/selling process and anticipating your next question or concern before the client does; making the process as smooth and painless as possible for the client. Selling two homes and buying a home at the same time could have been very difficult; they made it easy. These Guys did a great job with the transaction.They went above and beyond to help make it a smooth closing. From the negotiation to getting repairs done. Thanks again for the service. I worked with Tony Granados and talk about professional and high-level representation! I couldn't have asked for anything better out of my agent. This was the second house I've bought, and the first one the agent didn't have my best interests at heart, he was in it for the payday. I knew with Tony the entire time he was looking out for my best interests, was prompt, was honest with me (which is VERY important when making your biggest purchase of a lifetime), and frankly just knew his stuff. He knew exactly what he was doing, bent over backwards to make this a great experience, and even helped me find a house to buy that wasn't even on the market!!! Not only that, but he ended up getting it for maybe a little bit below market value when including concessions! Super impressive for any agent to be able to do what Tony did. Everyone at The Webb Real Estate Team was helpful in making sure that I would get the documents that I need. I had to do a Power of Attorney for my wife, and the coordination that Tony provided as a liaison between me, the agent, the seller, and the mortgage company was unparalleled. I know this seems overly positive, but I would use Tony and his team again in a heartbeat from a buyers perspective. He really did have my best interests at heart the entire time, and although I don't see us moving again for a VERY VERY long time, if I ever need to move again, I know who I'll be calling. Roger has sold two houses for us. Our first house sold in less than 24 hours of being listed for full asking pice and paying zero closing costs! I credit this to Roger's expertise and preparation in staging our house. Our second house was a rental house that we never thought we were going to be able to sell. Due to Roger's vast network of clients, investors and relationships with other agents we were able to sell the house for our asking price within a month. When it comes to selling or buying a house, I will ONLY work with Roger Webb. I was introduced to Roger from a referral and I will continue to refer Roger to anyone I know of that is selling a house. As a former real estate agent I can tell you that Roger is head and shoulders above the rest. He sold my fiancé's (now husband) home and one of my best friend's. My friend's house sold in less than a day. Roger will be honest with you, tell you what you need to do to get your house ready to sell, and set a realistic price. He is very organized and his listings read very well. His pictures are also very good. I always recommend Roger when someone asks! On behalf of Corey and myself, I want to thank you so much. Your team was such a great support system throughout this whole process. I can not speak highly enough about your response time, quality, and all your hard work. I felt your team looked out for me as not only a client but as family. We began to look for houses at the beginning of this year and I thought it was going to be a terrible experience. Corey was very hesitant in the whole process. When reaching out to you, I felt as though we were in good hands. Even when I was in tears because discouragement had set in, you were so positive to find us the perfect house. Laura came to every house we thought was “the one.” Even when we drove all the way there and did not go inside because we knew it wasn’t it, she still was willing to show us every house we wanted. She was so sweet, inviting, and honest which made all the difference in going from house to house. We changed our location many times and you all were so willing to make the drive and we really appreciate it. After many houses, we found throne! You were so determined to get us this house and did everything you could for us. Within a couple hours we were under contract and it felt so surreal. Jon and Sara then took us on with all the paper work. The loan process is not the best part but your team sure did make it an easy one. Your whole team did an incredible job and I will continue to recommend you all to anyone looking for a house. I want to thank each and every one of you from the bottom of my heart for all the hard work you put in for getting us this house. I have the house I have always dreamed of all because of you. You all are so great at what you do! I can’t thank you enough! I hope to stay in touch and wish you all the very best! Laura is a River Green / Canton expert. She was very realistic on what the listing price should be and was willing to go the extra mile by trying new methods in driving traffic to our home that was for sale. I can't imagine a realtor that would have been able to have perform better than her. Roger is the consummate professional. I’ve had the pleasure of being part of his team on the Mortgage/Finance side for the past ~7 years, and we’ve worked on countless transactions together. This has offered me the unique perspective of seeing how he handles his customers and transactions “behind the scenes”. And I can tell you for fact that Roger is one-of-a-kind in terms of how he cares about his clients and ensuring their real estate transactions execute seamlessly and that his client’s expectations are not just met, but far EXCEEDED. He AND his team of Laura Baker and Michael Carter ALL go above & beyond, which is why I’ve referred my own close & personal friends to him as well, and did so with full confidence that they would be thrilled with his service and results. And sure enough, that was the case. Having been in the Mortgage industry for over 10 years, I’ve been in the position of interacting with an endless number of Realtors. And Roger separates himself from his competition on every level. First off, perhaps his greatest strength is his KNOWLEDGE. Roger is truly an encyclopedia of information in the Real Estate realm, whether you are looking to BUY a home, SELL a home, explore a Short Sale option – you name it. He always has creative solutions and back-up plans for any scenario. Secondly, he has unbelievable work ethic. I’ve literally seen him work day/night for his clients, and you’ll never have the issue of trying to track him down as he is almost ALWAYS accessible day, nights, or weekends. Even if you happen to catch his voicemail, you can rest assured you’ll receive a call back in no time. His communication is impeccable. Another strength is his marketing abilities, negotiation skills and confidence in doing so. I’ve seen him pull off deals for his customers that are almost “too good to be true”……..but apparently they aren’t! And CERTAINLY another incredible trait of Roger is his perfectionism and attention to detail. This is SO crucial to Real Estate customers, as the last thing anyone wants is for a deal/offer to fall through due to any missed [yet crucial] detail(s). This is also invaluable on the Lending side as well, as I never have to “track down” any missing Contract paperwork, details, or information. From the start of every transaction, he immediately sends me ALL the pertinent paperwork and information which allows us to initiate the customer’s loan without delay, which is crucial to meeting all of the key Contractual dates & timelines. - - - - - - - - - - - - All in all, Roger possesses all the CRITICAL character traits and strengths that are vital to choosing a Realtor. He’s knowledgeable in every facet, hard-working, responsive, excellent in communications, creative, solution-oriented, honest, trustworthy, confident, thorough/detailed, decisive, and PROFESSIONAL. On another side note, Roger has a natural ability to make the normally-stressful real estate process relaxing………and FUN. Bottom line, anyone would be hard-pressed to find a better Realtor…….ANYWHERE. He knows how to sell homes. He knows how to help you find a home. He knows how to market. He knows how to negotiate. He gets deals DONE. If you want results, a smooth process, and someone that will GUIDE you through the process……..choose Roger and his team. You will NOT regret it. Roger and Melissa went above and beyond to help with the sale of our home. I’d recommend the Webb Team to anyone selling a home in the East Cobb/Roswell area. Roger represented us on the sale of our home. The entire process was extremely smooth. He made great suggestions while we were preparing to list our house. We had a lot of confidence that Roger was truly working for us during each step of the process. At the same time we were selling our house we were also buying a house. We regret not having Roger on that transaction, it has not been as smooth. The next time we buy or sell a house, we will call Roger! Excellent to work with!! We worked directly with Laura Baker. Her and her team handled our move across the country with ease. We had a very limited time to see homes and she dedicated herself to us those days. Great company, they very clearly let us know everything we needed to have together to close. Highly recommend! Tony our agent responded promptly and has been a real pleasure to work with. The amount of marketing that went into selling our house was extensive. We had an offer the first week. The photos really brought out the beauty of our home. Notified Roger to sell my house. Sold in 2 days. Followed up with me daily. Tony and Roger are the best you could ask for. Gave me great advice and had my best interest in mind. Roger is is the type of person that gives it to you straight! He tells you what you need to hear when making a purchase. The good the bad and the ugly! This is invaluable to a buyer of a home! I can not say enough good things about Roger! He help us through the process as we went through it and recommended people that also made our lives less stressed along the way. I recommend him to all that are buying a home! You will not go wrong with Roger! I highly recommend Roger and his team! They listed our home and we were under contract for asking price with no closing paid by us in less than 48 hours. They handled all of the negotiations and made the process very easy. They also got us in a new home for less than asking price with cash for closing and worked out the dates so we didn't even have to temporarily rent. Roger is dependable and trustworthy. We would never work with anyone else to sell or buy a home! Roger helped us find the perfect office building for investment purposes in East Cobb. He showed us multiple units to consider and then gave us the pros and cons of each unit. He also showed us how much rent has increased for commercial properties in the Atlanta metro area and more specifically East Cobb. He never pressured us but instead gave us all the tools to make an informed decision. I am grateful that Roger handled the negotiations with the Seller because he got the Seller to agree to almost all of our demands. Thank you Roger!! Roger and his team were AWESOME! I couldn't have asked for better service! They answered all questions and concerns even if it was late at night. I definitely recommend them! Roger is a hard worker who really hustles. We had a couple of hurdles and he helped tremendously. Couldn't ask for better service. I would not use a different agent in the Canton area! My husband and I were fortunate enough to use Tony Granados as our realtor when searching for a home and acreage near Cartersville. He was always quick to respond to our inquiries and very knowledgeable about the properties we visited. He also saved us a LOT of money when it came to negotiation time with the sellers. He was so very helpful throughout the process. I would highly recommend that anyone in need of an honest, hard-working, professional realtor look up Tony and the Webb Real Estate team. Roger and his team were great. From the up front work they put in before we got the house listed to the closing, their responsiveness and advice was top notch. They were able to set expectations properly and keep things on track during the whole process. It was a pleasure working with them. Laura Baker did an amazing job with our home!! She helped us with the listing and selling of our home in Canton! Laura never hesitated to answer a phone call, text, or email from us at any time whether she was on vacation or on her way to cheer on her kiddos' at a sporting event. She is willing to help in so many ways! Our daughter needed some entertaining while we had our house pictures taken, and Laura jumped right in to play with our daughter and keep her occupied. Laura always followed up with the agents who showed our home for feedback, and she always shared this with us. She also helped by making trips to our house for setting up for showings when we were gone and for the closing walk through with the buyers. She worked hard to represent our best interest along the way, and she is full of knowledge when it comes to the real estate process! We appreciate all of Laura's help along the way!! Julie Webb took beautiful pictures for our listing, and she is so friendly and cheerful! Roger Webb also shared helpful information and real estate experience with us during the process! The Webb Real Estate Team is a professional and positive group to work with when you need help with your home!! My experience with Roger Webb has been great. He has helped my wife and I identify properties that would make good rentals and are easy to rent. He is incredibly tech savvy and a fierce negotiator. I have recommended Roger to all of my friends and they have the same thing to say about him.....he's the best real estate agent they have ever worked with. Look no further.....call Roger! Roger and Michael did everything we asked. My wife and I requested their assistance with the purchase of our first home, they made it a very easy process. They got us everything we asked for within negotiations. I would absolutely recommend them to anyone in the market for a house. Big shout out to Laura Baker who sold our home for us in approx 45 days. This was a feat in itself because it was on the market during Christmas, and sold in January. We had originally hired someone else to sell our home, but after 3 weeks of NO SHOWINGS, horrible pictures she took herself, and giving us every reason our home wouldn't sell, our neighbors encouraged us to change agents. Laura came as a recommendation from a neighbor, and our experience with her was completely opposite of our 1st agent. She brought in a professional photographer and the pictures were night and day. She saw all the great things about where we lived, and knew how to market it. We worked as a team, and she was open to any suggestions we had. She always stayed positive, and talked us off the ledge when we needed it. It's stressful to sell a home, especially in the time frame we had to sell it, and she took on the challenge and negotiated a fair deal for all involved. After we closed, we unfortunately ran into some snags with the new owner, and Laura helped us through that as well. We highly recommend her, Thanks Laura! Roger is very knowledgably, responsive and helped us sell our house in less than 48 hours! He informed us on where he thought we would get the best ROI for updates that needed to be made to the house and was spot on. My husband and I were extremely happy with the way the selling process went and thanks to Roger, it was really stress free. Unlike probably any client that Roger has dealt with, i've had the unique experience of working with Roger as a business partner/associate (as his Preferred Mortgage Lender), but also with my personal dealings. Overall, i've worked closely with Roger for over 7 years now. And i can confidently claim that Roger is absolutely EXCEPTIONAL at what he does. He is the consummate professional. For most people in choosing a Realtor, they look for someone who is Knowledgeable, Honest/Ethical, Responsive/Available, Friendly, Caring, Easy to Work with, Hard working, Keeps up with technology, and who looks out for their Client's best interests. While most people might think it's impossible to find a Realtor who not only MEETS all of these qualities, but actually EXCELS at them.......look no further than Roger, and his whole team. Roger is a true encyclopedia of Real Estate knowledge. He knows the local markets, knows about all aspects of Real Estate from Buying, Selling, Short Sales, Lease-Purchases.......you name it. Another thing Roger is excellent at is thinking out-of-the-box, negotiating, and finding creative solutions for buyer and sellers alike to meet their goals. He is also an amazing Advisor for people who are new to the home-buying process, or even for customers who have bought many homes and are well-versed in the real estate field. Anyone would be hard-pressed to find a harder working Realtor anywhere on the planet. With Roger, whether it's early morning or late at night..........he is always accessible to clients and never be surprised if you email him at 10:00pm and he emails you back at 10:05pm. Bottom line.......Roger truly cares about his clients and works TIRELESSLY to ensure every customer is guided through the process and that things go smoothly. He gets things DONE. So all in all, I certainly endorse Roger in every way imaginable, and HIGHLY recommend anyone to utilize the services of himself and his team. You will NOT regret it. Roger Webb is very responsive and very honest. He is whom you want if you are doing anything related to real estate. He is one of the most efficient people you will ever work with and uses technology to help folks. I’ve known Roger Webb for about 10 years and have used him to purchase my current home 6 years ago, for finding both residential and commercial tenants for me. Most recently, he listed my 86 year old mothers home and had an offer within 24 hours. I find Roger very proactive in his profession and have never been disappointed, even with a hard to please mother! Roger and Laura are extremely professional and definitely know their market. Recently divorced, I have not purchased a home on my own. It was a bit intimidating. Roger and Laura were there every step of the way , guiding me and letting me know what was next in the process. If any issues arose, Roger handled the problem FIRST, then informed me about it later. A completely stress-free experience, and I can't recommend The Webb Real Estate Team enough! Roger is amazing at finding the perfect place! When I moved to Atlanta, I had a list of requirements that was so extensive, all my friends laughed at it, and said I'd never find that kind of place in my price range. Roger found TWO listings for me within a couple hours, and I still live at the one I chose! He is a ninja and doesn't stop until he finds absolutely the perfect place for his clients. Next time I need a place, he will be at the top of my list! There is a lot that goes into buying and selling real estate and being able to depend on your agents and trust thier guidance makes the whole process much less stressful and much more enjoyable. My wife and I recently sought the guidance and expertise of the Webb Real Estate Team to assist in the sale of our home and the purchase of our new home. We truly feel blessed to have had them with us during this process. If we ever sale and buy again, they will absolutely be our first call. Thank you Laura and Roger for all you have done and thanks for providing us with the absolute best service. Definitely a job well done. Roger constantly amazed me with his industry insight and original approaches to solving problems. He has a very strong work ethic and unparalleled analytical and problem solving skills.I would recommend him with any project that requires the very best in sales execution. His efforts have produced high quality results time and time again. Roger will find a way to weather any storm with a smile. Experiencing his quick and sharp mind at work is most impressive. The Webb Real Estate Team made our home purchase a great experience! They are knowledgeable, professional and their response time is awesome. Michael Carter called me within ten minutes of making an online inquiry on a property. The Webb Real Estate Team worked hard for us every step of the way during our purchase and even followed up after closing to make sure everything was taken care of. Roger's performance as our realtor / buying agent can be best described as the Home Run Derby Champ hitting each pitch 600 feet and out of the park. He would come up to the plate and say, "Here we go!" The whole process was an absolute pleasure! His depth of knowledge of real estate and the process is unmatched with immediate answers to all of our questions or concerns. He calmed our nerves, because we knew he had the knowledge, could pivot and react to any wrinkle in the process and always had our best interest in mind. He played hardball with the other side, but only when needed and would shoot straight with us to level set our expectations as well. On top of his depth of knowledge, Roger is also very personable and funny which made the process that much more of a pleasure. Communication throughout the whole process was also exceptional with some emails being answered in under a minute. I also appreciated his technical knowledge of process allowing us to electronically sign contracts and amendments completely removing the stress and delay of faxing or scanning documents. The cherry on top was a closing that was finished in under an hour. Based upon past experiences, I tended to wait for the other shoe to drop and Roger would always say, "This is how it is supposed to go!" Indeed! "Here we go!" Truly the best out there and I mean it. I had to fire my first agent and Roger was there to pick up the pieces. If you are looking for an agent who will communicate with you about everything and do everything possible to get the job done then Roger is your guy. I could not have asked for a better team to help me find my dream home. Roger and Michael were phenomenal every step of the way.hey were very patient with me and let me make my own decision rather than trying to push me in one direction or another like others tend to do. They were both very professional and Michael was always accommodating, meeting me on multiple occasions last minute to look at homes, while I happened to be in town. When I finally found "The One," Roger negotiated the price down to a fair amount and when I was still hesitant on the purchase, he continued to push the seller until they came down to a price I felt very comfortable with.Throughout the process leading to closing, Roger was always quick to answer any questions I had regarding the property and the process in general and updated me on a regular basis as to our status. I would not have been in the same situation if it had not been for Roger and Michael and I sincerely thank them and would highly recommend them to anyone looking to purchase a home.They are truly the best! Roger did a great job in helping us find our new house and selling our existing home. He said he would sell our existing home in five days. We sold it in four! Buying a house can be so stressful. Roger lives by the Golden Rule, treat people they way you want to be treated. Buying our house was stress free thanks to Roger's quick action and attention to fine detail from the initial contract to the closing. He also has incredible recommendations for mortgage lenders, insurance agents and contractors. Roger is a much different realtor than the 5 or 6 others we have used through the years. Most other realtors we’ve had in the past we felt like we had to chase down every time we needed to talk to them or ask them a question. It seemed like Roger was always available, even nights and weekends and he always kept in touch with us. He was our purchasing agent on our new house and he leased our current house. He set up numerous showings in the first few days of the rental and helped us pick a very qualified tenant for our house. Our purchase was not a traditional sale and was difficult at times, but Roger saw it through and was very patient with all of our questions and calls. I can’t recommend Roger enough for a sale, purchase or lease. Thanks for all your help Roger, we don't think we would have gotten here without your help. The Webb Real Estate Team is very helpful and reliable! They are always there to answer your calls and do the best the can for you. I bought my first home using them and will use them again to buy my second home. You cannot find anyone better than them! Roger and Laura working together as a team made this process easy and kept me informed enough to make educated decisions at all times. I feel the Webb Real Estate team is the best I have ever worked with. I fell they gave me an advantage over the other agents working in the process. Laura Baker and the entire Webb Real State team are true industry professionals. I now have used Laura and her services over the past few years to purchase a home, sell a home as well as consulting on a rental property I own. Laura listens to her clients and really "goes to bat" for them. I would highly recommend Laura and her real estate knowledge to anyone in the market to buy or sell a home, especially in Cherokee County. I had the priveledge of working with Roger during the recent purchase of our home in Canton GA. Although Roger acted as the sellers agent in this particular transaction, his strong attention to detail, expedited response and professional demeanor where a tremendous benefit to both parties, undoubtedly the smoothest real estate transaction I've been party to. I'd strongly recommend Roger to anyone considering purchase or sale of real estate in the north Atlanta area. Hat's off to you Roger! Andre was with another company when working with Roger at Webb Real Estate Services, Inc. I cannot say enough good things about Roger Webb and his Team. Roger helped us sell our house in 1 week. I was nervous going into the process because we had an older home. I thought it would take months to sell and I was not very optimistic about the amount of money we could get for it. Roger's expertise and knowledge allowed our house to sell quickly and for an amount I never thought was possible. Working with Webb Real Estate throughout this process made this a stress-less process. You can tell Roger loves what he does and is excellent at it. Roger is honest and reliable. You will not be disappointed with Roger Webb and The Webb Real Estate Team. Roger was a remarkable agent! We had a very unique situation arise and he guided us every step of the way. He is definitely someone you want in "your corner". He does what he says, takes the time to listen and executes impeccably. I recommend Roger to the highest degree and will use him again in any future real estate endeavors. A class act! Roger is driven to get your house sold. He sold mine when the market was down, he always answers his phone, calls you back in 5 minutes or comes by in person. He is the best agent I have ever had. I listened to his advice and priced it at what he recommended. He knows the market inside and out. There is no obstacle that he can’t overcome. He is a real-estate closing machine. His vision and work ethic, attitude and efficiency are second to none. Thanks Rog for doing a great job selling my home. If you are planning on buying a house in the Marietta/Woodstock area DON'T put yourself at a disadvantage by not working with Roger. We had one of the most difficult closings that I have been associated with (I built houses for 12 years, so I have spent some time at the closing table on both sides) and Roger was the glue that kept it together! He was relentless in making the purchase of our dream home, a reality.Roger, was always accessible and went the extra mile. I thought our deal was dead in the water a couple times and he kept it on track and got it done (He has a knack for getting everyone to see the big picture!). We have been in our new house in Towne Lake Hills East for almost two weeks. My family loves it and couldn't have done this without him. My home had been up for sale for over 4 years with little or NO success. Roger came in and with 12 mos sold the home for 97% OF ITS ASKING PRICE. This man is FANTASTIC. If you want to sell your home, and are tired of hearing all the excuses, call Roger NOW ! Michael and Roger were awesome. Took care of us as if it were their own purchase!!! Always there along the way answering all questions and making us feel totally taken care of. Great experience! The service and personal attention I received from Roger was exceptional. A great real estate agent, he knows my local market inside and out. He helped list my home for rent. He got me a 2 year contract for above my mothly asking price. Roger did so much more than was required or expected. Regardless of whether you are buying or selling, I would highly recommend Roger Webb help you in this life changing move. I could not have asked for a better Realtor to guide me through the process. Roger helped me with my short sale and wow, he really made the process as simple and easy for me as possible. It went off without a hitch. I barely did anything but provide paperwork. I could not have done it without his help! Roger is professional, hardworking and totally reliable. I would highly recommend him to ANYONE looking for a real estate agent, especially when doing a short sale. ROGER WEBB - In the brief time I have worked with Mr. Webb, he has proven that he is not only knowledable of the short sale market, but is a EDUCATOR - he guides both the seller and buyer through the entire process, from loan prequalification to searching for houses to making the offer and closing the deal. He is the GO TO PROFESSIONAL to ensure a smooth, stress-free home-buying experience. Working with Mr. Webb is a VERY pleasurable experience. He is savvy, personable, has expertise with investor prorgams and knows the market inside and out. He is a real estate professional that will go the extra mile" and has helped many people. He is dedicated and I would recommend him to everyone who needs help to sale or purchase a home. Elizabeth was a consultant or contractor to Roger at Webb Real Estate Services, Inc.
Just wanted to take the time to express my gratitude towards Laura Baker. I had moved out of the country and needed a realtor that could take care of all aspects of the sale process while I was away. Laura was referred to me by a friend and I am glad that she was. Laura took care of everything and was very aggressive in listing and advertising my house. She also would send me frequent updates on progress and interest. When a prospective buyer came along Laura was excellent at handling the negotiation and closing the deal all while I was on the other side of the world! While homes for sale with other companies on my street sat unsold my house was sold at a favorable price. Thanks for the great experience Laura! We really weren't looking to move or buy a new home, but after talking with Roger and seeing one of his properties on Facebook, we decided it was time. Having known Roger for over 35 years, I knew that he would be honest and fair and put our interests first. Roger not only helped us get the house of our dreams, but also helped us sell our existing house in what felt like record time! If you are looking to buy or sell a home in the Atlanta area, I highly encourage you to contact Roger. He will treat you like family and make sure that you get the house of your dreams. Thanks again for everything Roger! I was so pleased with my experience with Webb Real Estate! Not only did they help me find a house that is much more than I could've ever dreamed for me and my children, but they were incredibly knowledgeable in the Short Sale of my previous home, as well. You will not find another agent, like Roger Webb, who knows our area, the way he does. His entire staff was patient with me, guiding me along the way of both the buying and selling of my homes. They advocated for me at every turn in the process and helped a very stressful time in my life much easier.. Even after I closed, Roger has been a personal resource of mine for a variety of questions regarding the upkeep of my new home! If you need an agent, if this is your first purchase, or your tenth, I highly recommend Roger and his staff. You will not be disappointed! Roger was outstanding, comprehensive and productive in every since. After 3 yrs on and off in market with 2 different agents finally I found him .He was there for me any time during the transaction and made sure that everthing was well taken care of from start to finish...I was very satisfied and he did an excellent job with his expertise and morality.My wife and I thank him very much for your working hard to sell my house. I would recommed Roger to anyone looking to buy or sell a home.